Sometimes you may need to notify all users on your server about an event, for example, a scheduled outage. This can be done simply using a mailing list Accounts. 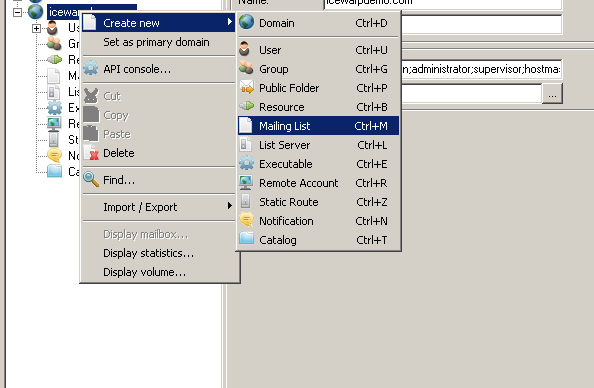 You may create a new mailing list account in your domain either via the Icewarp Console or the WebAdmin interface. 2. Optionally enter a Description and Owner for the list. 3. Choose All system users in the Source pull-down menu. 4. Click the "Save" button in the upper right corner of the console and your mailing list is created. 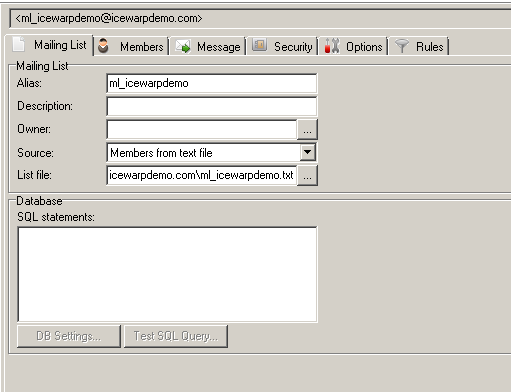 Now when you need a send a message to all users on your server you simply send to this Mailing List Account (ml_icewarpdemo@domainone.com in this example) and the message is delivered to all the users on your server. NOTE - the Source: drop-down has other useful pre-defined categories of user.